Popular sentiment in America depicts Kim Jong Un as a madman with unchecked power and the capability to detonate a hydrogen bomb over New York City. 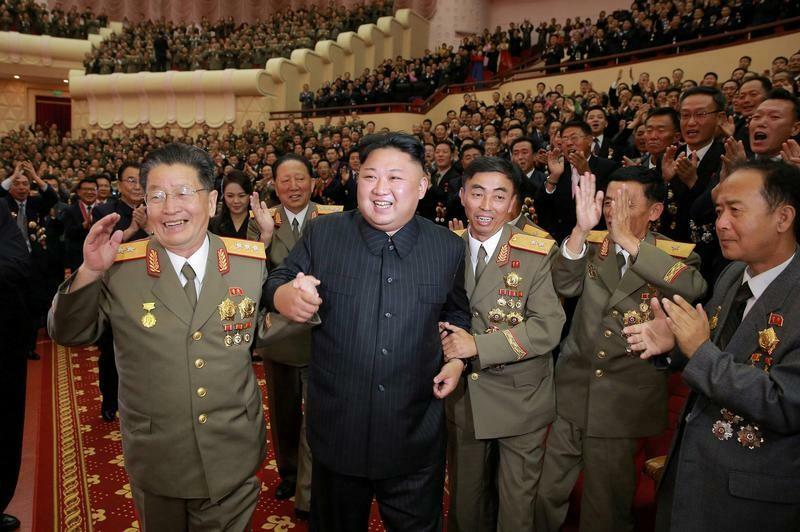 Fear over North Korean retaliation has for decades prompted American governments to bow to Kim’s demands and give him prodigious aid packages that have only emboldened his government. In order to stop propping up the Kim regime, America needs to first recognize that Kim isn’t quite the threat that many believe he is. Indeed, polls put North Korea as Americans’ most feared adversary, with more Americans concerned over Kim than about Russia and ISIS combined, and ameliorating this perception is the first step to achieving actual reform in North Korea. Reality is a different story. Far from the trigger-happy lunatic Americans imagine, Kim is an intelligent state leader whose weapons are laughably ill-equipped to strike the United States, and whose power rests solely on the connotation of the phrase “nuclear weapons.” Upon close scrutiny, Kim is a rational actor whose behavior follows a strategy that’s been around since Machiavelli, and he has neither the desire nor the capability to do serious damage to the United States. It is easy to forget the man in the madman, but Kim Jong-un is almost immutably a rational actor if one investigates enough. When he attended an English school in Switzerland in his youth, classmates described Kim as “funny,” an avid basketball fan and sneakerhead. But based on the media’s portrayal of Kim as a crazed dictator, you would think that the only trait that Kim has carried over from his Swiss school days is an uncompromising competitiveness and fierce desire to win. This attitude put him above his brothers in the line of succession despite not being the oldest, drove him to fend off multiple coups over the years and especially in the tenuous first few years of his regime, and pushed him to murder his own uncles and brothers who dared to even attempt to overthrow him. Kim’s regime is a well-oiled machine that systematically oppresses twenty million despite teetering on the verge of bankruptcy, and Kim is the mastermind behind the whole operation, stopping coups before they happen, keeping the regime well-run, and extracting money from countries that perceive him to be crazy. One can point his “madness” in photoshopping his ears and keeping hordes of his citizens in prison camps, but even this behavior follows a predictable pattern of actions, adhering to an ideology going back all the way to Machiavelli and most prominently used by America’s very own President Nixon. In academic circles, this is known as “madman theory,” the idea that a despot can act irrational to make others so scared of what the despot will do that they will grant him concessions. Most prominently used by Nixon and his Secretary of State Henry Kissinger, madman theory is an established and often effective means of diplomacy. Kissinger would tell countries that Nixon, the “madman,” was close to declaring war on their country if demands were not met, and this strategy notably proved fruitful against the North Vietnamese government, who signed a peace treaty to end the Vietnam War at Kissinger’s behest. This is the same pattern that the Kim dynasty has followed for decades. Acting irrational puts the world on notice and incites them to “appease the madman” for fear of a nuclear war. After all, continued nuclear tests have gotten Kim hundreds of millions of dollars in discretionary aid from the U.S. and China and a lifestyle as lavish as anyone on the planet — concessions that were only possible because America was concerned about him pulling the trigger. Indeed, Kim operates with ruthless, surgical precision when necessary. The way Kim came to power was not random. He has forced millions of people into labor camps and denied them food, free speech, and basic necessities because he realizes that if free, they would oust his regime and likely take his life for all the suffering he has caused, similar to the fate of Romania’s Nicolae Ceausescu, Libya’s Muammar Gaddafi or Italy’s Benito Mussolini, all killed by their own oppressed people. It is no easy task to persuade a military to lock up fellow North Koreans, and there is no simplicity in fending off multiple elites, including his brother, Kim-Jong Nam (recently deceased probably by Kim’s hands), from taking the throne. Running a country, no matter how oppressive, is no easy task. Given that Kim is rational and fears for his own survival, it is unfathomable that he would declare war on the United States because he knows the US would steamroll him in response. The same theory of mutually assured destruction that dissuaded the US and the Soviet Union from wiping each other out in the Cold War ensures that Kim would never risk his own death by attacking the United States. Finally, even if Kim was the madman that too many believe him to be and fired an ICBM at the United States, we more than have the capability to defend ourselves. The effectiveness of North Korea’s missiles is relatively unknown given that the only source for nuclear tests is the obviously biased North Korean propaganda machine, but even if it is true that North Korea has hydrogen bombs and ICBMs, defending against these systems should not be too difficult. Numerous missile defense systems, including THAAD in South Korea, Aegis in the Pacific, and GMD on the homeland all have the capability to shoot US-bound missiles out of the air- THAAD alone has struck down 100 percent of missiles in tests, and that’s just the first layer of defense. Rather than the vaporization of Los Angeles that sensationalists prophesize, a real nuclear altercation would likely consist of a North Korean missile barely making it off the Korean peninsula before Pyongyang is vaporized by an arsenal of nukes unleashed by the vastly superior power. Even with recent testing and developments, the United States will always win an arms race against North Korea by virtue of simply being able to outspend them; the largest economy in the world is far more capable of purchasing weapons than a withering communist state. Kim Jong-Un lives an incredibly lavish lifestyle in the status quo, making hundreds of millions of dollars to spend on whatever he pleases. Even if he would want to risk all of that, his missiles are pathetic in comparison to the numerous layers of missile defense that the US military has been so careful to set up. He may be feared as the greatest threat to the United States in the world, but at the end of the day, Kim is just an insecure leader trying to extract concessions, and the public should calm down accordingly.